Mr. Herseth of course practiced all the time. But from all of the stories I've heard, he even played the most rudimentary of exercises as if he were performing for a large audience. The biggest difference between good players and great players is intensity in the practice room. Photo by regan76, available under a Creative Commons Attribution 2.0 Generic License. 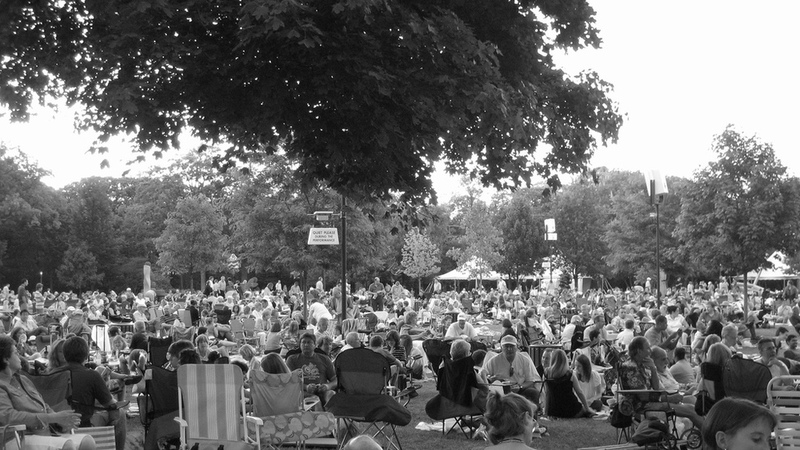 Ravinia, where Bud Herseth performed for millions of people over the course of his career with the Chicago Symphony Orchestra.